The Hawks came back from a 3-1 third period deficit to take the lead late, but the Thunderbirds would tie it and eventually win it in a shootout. Seattle was up 1-0 in the first period when Jake Gricius drove the Seattle net and Ty Kolle buried the rebound to tie things at one after 20 minutes. In the second, Seattle went up by two, after goals from Zack Andrusiak and Donovan Neuls made it 3-1 heading into the final frame. In the third, Portland got within one on a goal from Cody Glass on a sweet feed from Henri Jokiharju on the powerplay. 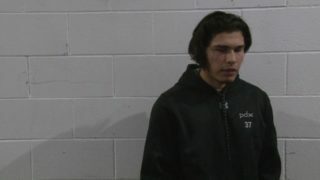 Then, just six seconds later, Keoni Texeira sprung Joachim Blichfeld in on a breakaway, who then went five-hole on Hughes to tie things at three. 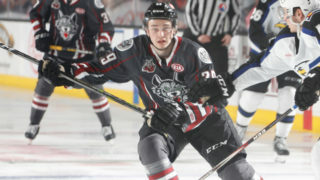 Portland continued to press, and under three minutes later, Glass found Ryan Hughes at the top of the right circle, who then beat a sprawling Liam Hughes to make it 4-3 Portland. 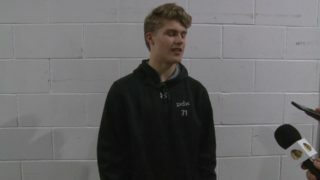 But Seattle responded with under five minutes to play, as Noah Philp dug a loose puck out of Portland’s crease and threw it shelf on Cole Kehler. With the game tied at four, the game would head to overtime. In OT, the teams exchanged chances but both Kehler and Hughes made several big saves. Seattle and Portland would head to a shootout, where in the third-round, down by one, Glass beat Liam Hughes to keep the Hawks alive. But it wasn’t enough, as Andrusiak would put it by Kehler in the very next round to give Seattle the 5-4 win. 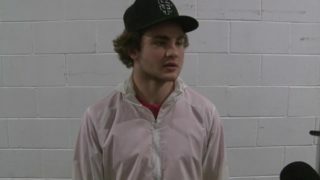 Kehler made 29 saves in the game for the Winterhawks. 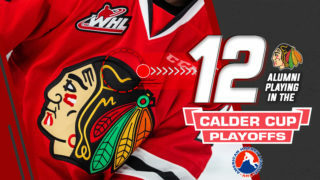 The Winterhawks hit the road for four away games starting in Kennewick tomorrow night against the Tri-City Americans followed Sunday in Seattle against the Thunderbirds. 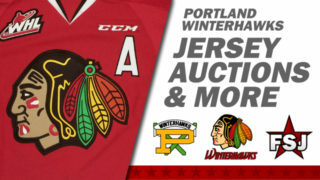 The Hawks then head to Price George for back-to-back games Tuesday and Wednesday and return home Saturday against the Tri-City Americans for the 1998 Memorial Cup Reunion and Hall of Fame induction. Tickets on sale here, and single game and group tickets now on sale.